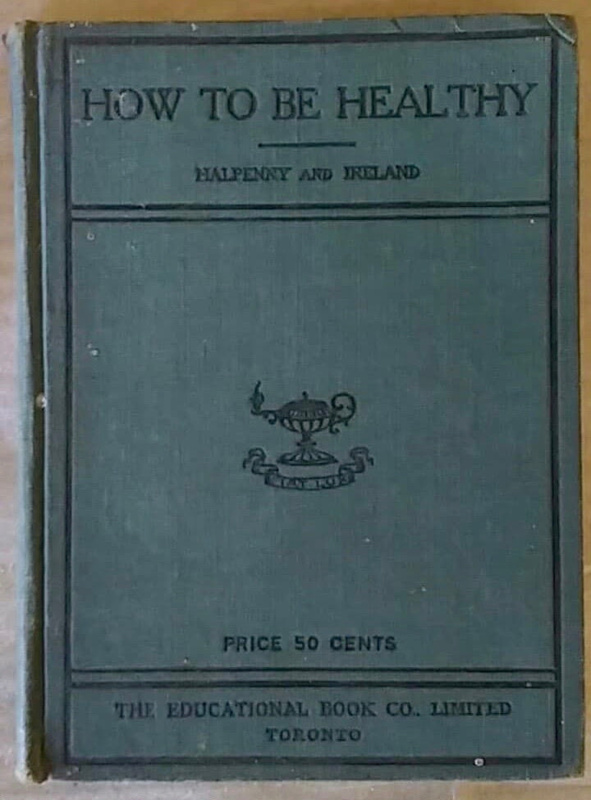 How to be Healthy, Halpenny and Ireland. The Educational Book Co. Limited, Toronto. Free Textbook, Property of Irene M. Burnes, issued to pupil on January 2, 1916, by order of the Education Department of BC. Irene Burnes later married Bertie Roe and became one of the owners of Roesland. The price of this book was 50 cents. Book contains sketches of flowers (most likely by Irene) in front cover. 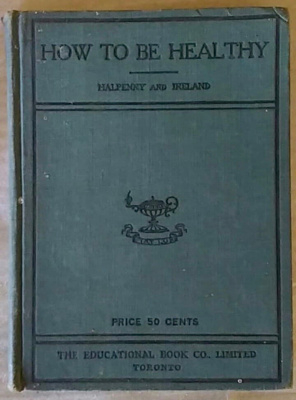 Pages of the Child Hygiene Section of a pamphlet issued by the Canadian Public Health Association (206 Bloor St, Toronto) are tucked inside.